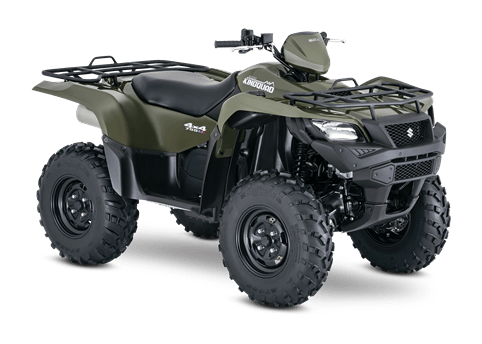 722 cc liquid-cooled DOHC 4-valve fuel-injected engine tuned to deliver strong low-to-mid range torque as well as high-rpm power. The KingQuad 750AXi comes with a QuadMatic™ CVT-type automatic transmission designed for maximum versatility and convenience with a fender-mounted gate-type shifter operation for high/low range and reverse selection. 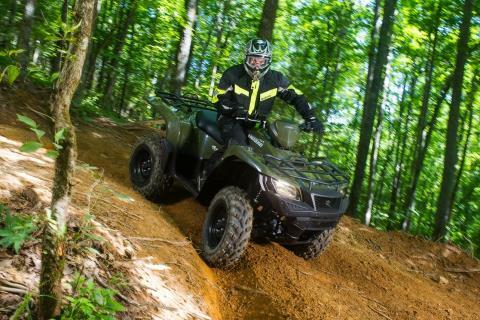 Its advanced engine-braking system minimizes free-wheeling with the throttle off and helps control the vehicle during steep descents. 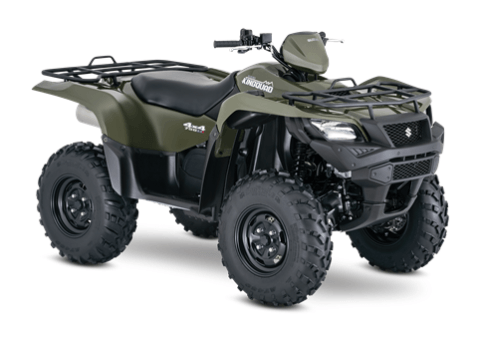 The KingQuad 750AXi comes with a large 4.6 gallon (17.5 L) fuel tank, positioned for a low center-of-gravity. It includes a vacuum-operated petcock, ratchet-style fuel cap and convenient bar-type fuel gauge. 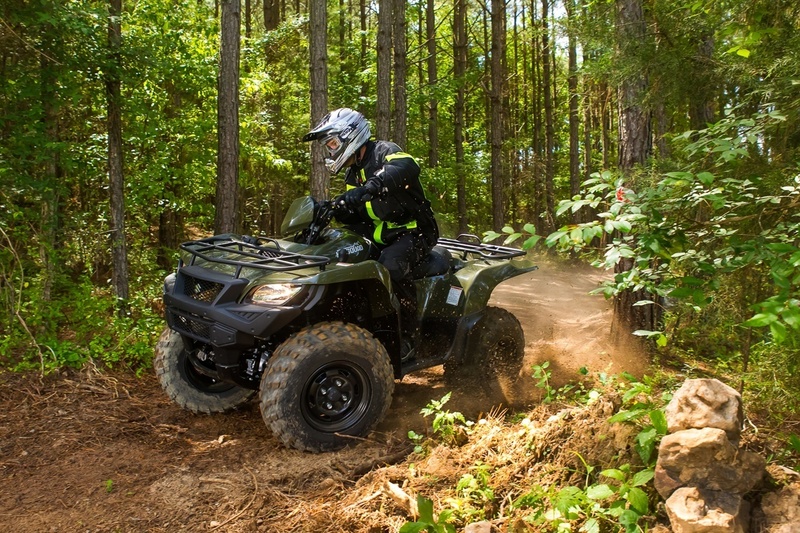 The KingQuad 750AXi comes with rugged steel-tube racks with wrinkle paint finish for increased durability and scratch resistance. A wide array of Suzuki Genuine Accessories are available for the KingQuad 750AXi, including winches, utility windshield, front and rear bumpers, snow plow, aluminum skid pans, rack extensions, utility box and much more.